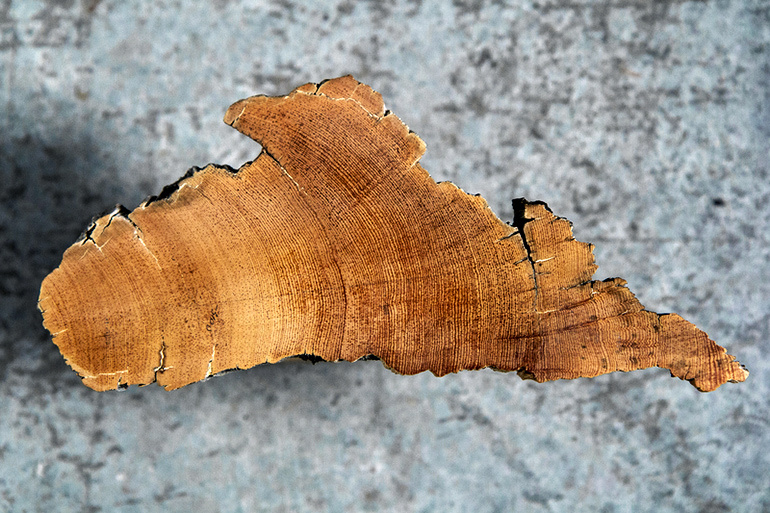 New analyses that use tree rings could shed light on discrepancies between archeological and radiocarbon methods of dating the ancient volcanic eruption of Thera. “It’s about tying together a timeline of ancient Egypt, Greece, Turkey, and the rest of the Mediterranean at this critical point in the ancient world—that’s what dating Thera can do,” says lead author Charlotte Pearson, an assistant professor of dendrochronology at the University of Arizona Laboratory of Tree-Ring Research. 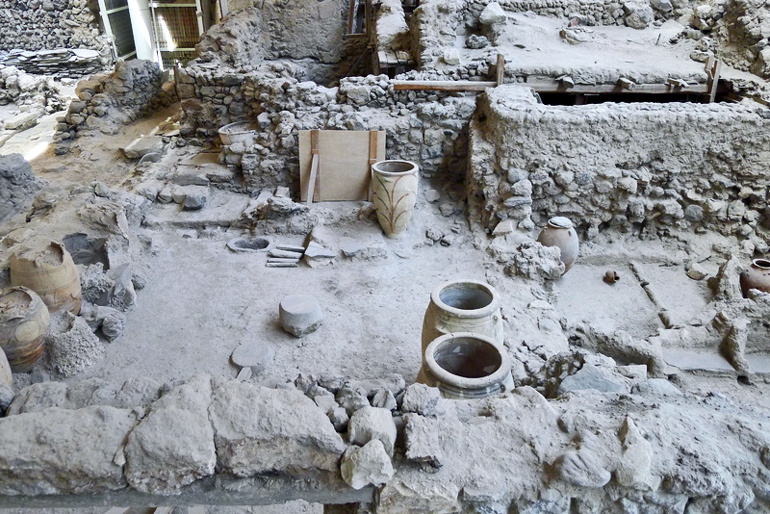 Thera’s explosive eruption on Santorini more than 3,400 years ago buried the Minoan settlement on the island in a layer of ash and pumice more than 130 feet (40 meters) deep. 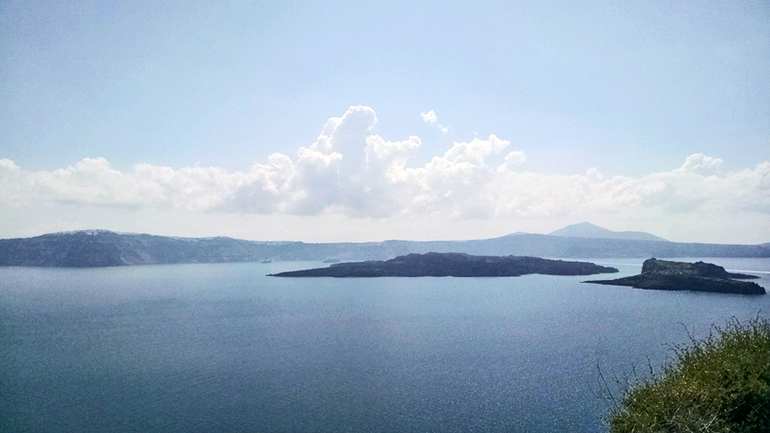 The effects of the eruption were felt as far away as Egypt and what is now Istanbul in Turkey. Archeologists have estimated the eruption as occurring sometime between 1570 and 1500 BCE by using human artifacts such as written records from Egypt and pottery retrieved from digs. Other researchers estimated the date of the eruption to about 1600 BCE using measurements of radiocarbon, sometimes called carbon-14, from bits of trees, grains, and legumes found just below the layer of volcanic ash. For the current study, which appears in Science Advances, researchers used radiocarbon measurements from the annual rings of trees that lived at the time of the eruption to date it to someplace between 1600 and 1525, a time period which overlaps with the 1570-1500 date range from the archeological evidence. The current radiocarbon calibration curve that scientists developed over the past 50 years using tree rings extends 14,000 years into the past. At that time, scientists needed to use chunks of wood that combined 10 to 20 years of a tree’s annual rings to have enough wood to test for radiocarbon. Work researchers conducted at the Accelerator Mass Spectrometry Laboratory at the University of Arizona contributed substantially to the radiocarbon calibration curve currently in use worldwide. Now, radiocarbon testing requires just slivers of wood, so Pearson and colleagues could test the annual growth rings of trees from 1500 back to 1700 BCE—before, during, and after the time scientists thought Thera erupted. Researchers analyzed the 285 samples of annual tree rings for radiocarbon at the UA AMS lab. “Charlotte’s redoing the calibration curve at an annual scale. What fell out of that was that the old calibration curve wasn’t precisely correct during this time frame,” says coauthor Gregory Hodgins, director of the UA AMS lab. Pearson learned about the Thera eruption while studying archeology in college and has been fascinated by the eruption and its aftermath ever since. 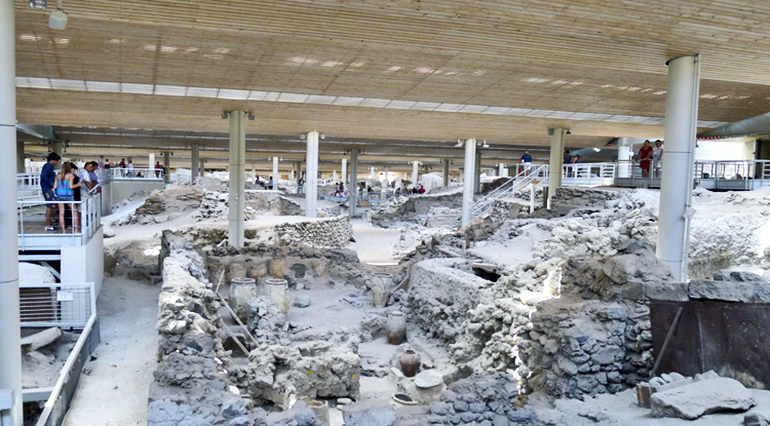 Narrowing the date for the Minoan-era eruption of the volcano Thera is so important for Mediterranean archeology that there have been whole conferences about when that eruption occurred, she says. She wanted to know whether current dendrochronological and radiocarbon techniques could provide a more precise date for the eruption. “Every tree ring is a time capsule of the radiocarbon at the year in which it grew, so we can say here’s a tree ring from 1600 [BCE] and here’s how much radiocarbon is in it,” she says. The radioactive carbon-14 within an annual tree ring starts decays at a steady rate and can act as a clock indicating when the tree grew that ring. Pearson and colleagues used two different tree-ring chronologies from long-lived trees that were alive at the time of the Thera eruption but were growing 7,000 miles apart. Coauthor Matthew Salzer’s extensive work on long-lived bristlecone pines living in California and Nevada provided the 200 tree-ring samples representing each year from 1700 to 1500 BCE. David Brown of Queen’s University in Belfast provided 85 Irish oak annual tree-ring samples that spanned the same years. Because Irish oaks and bristlecone pines add a growth ring every year, the rings laid down year-by-year represent an environmental history going back thousands of years in time. A massive volcano such as Thera ejects so much material into the atmosphere that it cools the earth. For cold-climate trees such as Irish oaks and bristlecones, that exceptionally cold year shows up as a much narrower tree ring. Salzer’s work reveals at least four different years within the new radiocarbon age range for Thera where the bristlecone pines had exceptionally narrow rings that might indicate a huge volcanic eruption. Additional coauthors are from the University of Arizona and the University of Sheffield. The Malcolm H. Wiener Foundation, the Merops Foundation, plus the European Union and the State of Hungary (cofinanced by the European Regional Development Fund) funded the research. Did hidden volcanoes heat up the ice cap on Mars?